Take time to cook meals at home with others more often than eating ready-to-eat processed meals alone. Health Canada developed the latest food guide in response to a scientific and cultural review of Canada’s prior Food Guide, which was released in 2007. In 2016 they began the process of consulting with outside groups in order to ensure that it would be useful, understood, and applicable for all Canadians. The content was created and organized between 2016 and 2018 and refined by a series of focus groups. The new Food GuIde was released in January 2019, followed by the Dietary Guidelines days after. 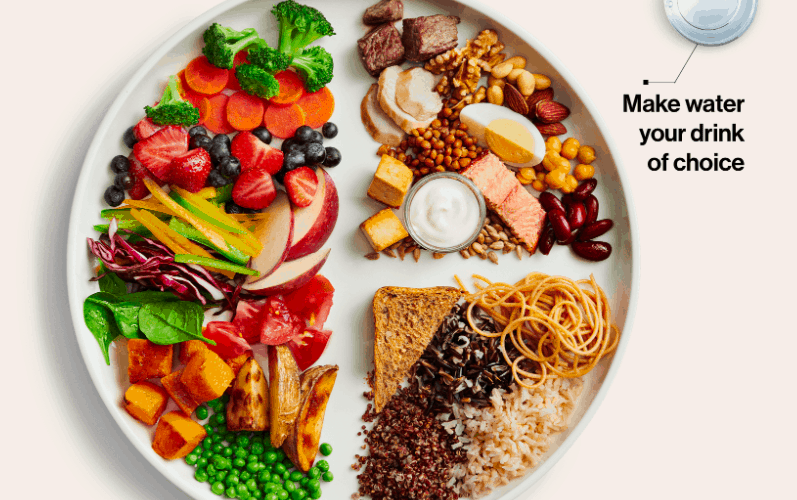 Canada’s Food Guide and Dietary Guidelines go beyond the serving suggestions and nutrient equivalencies promoted by the food industry, instead favoring a more involved and informed relationship between Canadians and their food consumption. Health Canada utilizes a science-based consensus to most effectively address the prevalence of nutrition-related diseases and complications. A primary goal of Health Canada was to produce a document and web-application that make healthy eating something that is accessible and easily understood. The focus is on encouraging individuals to find out what works best for them, rather than issuing strict requirements to be followed by everyone. Food Choices – Prioritizing fruits and vegetables, eliminating sugary and alcoholic drinks, reducing sodium and saturated fat intake, de-emphasizing dairy as a protein substitute, using food labels, and better understanding the effects of food marketing. Eating Habits – Being more mindful of when you’re hungry and full, planning when you eat and setting aside that time, enjoying food as a communal process based on cultural traditions, always eating meals with others when possible. Foundation for healthy eating – Developing healthy patterns of eating that favor a balance between intake of energy and physical activity. Included is a special consideration of traditional indigenous consumption patterns. 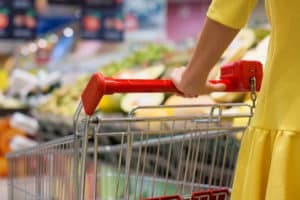 Foods and beverages that undermine healthy eating – Considering the negative health impacts of processed foods, which are often high in sugar, sodium, and saturated fats. Included is the reduction of sugary drinks in all forms, institutional purchasing guidelines, and reduction of alcohol consumption. Importance of food skills – Encouraging the development of food skills, like cooking and cultivation, in children from a young age at home. Included are media literacy skills, which limit the efficacy of processed-food marketing targeted at children. Implementation of dietary guidelines – Ensuring that dietary guidelines are followed necessitates addressing food insecurity, including special consideration of remote indigenous communities that lack basic access to most foodstuffs. The issue of food access should be considered in all sectors of the Canadian Government. Canada’s new Food Guide and Dietary Guidelines’ primary function is to address major health concerns that are directly affected by diet, including chronic diseases such as heart disease, stroke, colon cancer, diabetes, and breast cancer. A particular focus of this initiative is the elimination of added sugar and sugary drinks, which have been found to be the number-one contributor to Type 2 diabetes and obesity in children. Health Canada’s simplified approach to addressing this issue is to recommend choosing water with a balanced meal. This is in stark contrast to the prior food guide which recommended two glasses of milk a day as a source of nutrients and drinking 100 percent fruit juices to increase daily fiber intake. This change prompted a great deal of opposition from the influential dairy industry and beverage trade organizations, which argued that the new guidelines would negatively impact h the Canadian economy. However, it is Health Canada’s position that a healthy populace is more vital to the Canadian economy than the food and beverage producers. This trust is essential to the success of the Food Guide and Dietary Guidelines, and the open-government promise of the Healthy Eating Strategy.